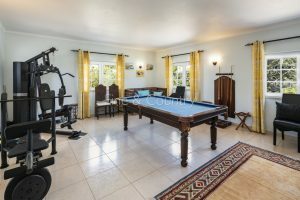 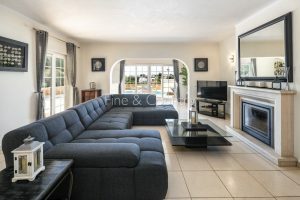 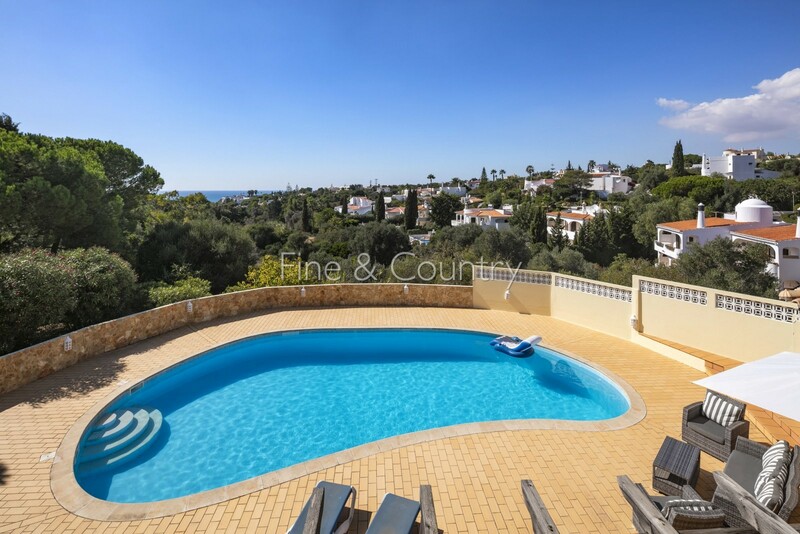 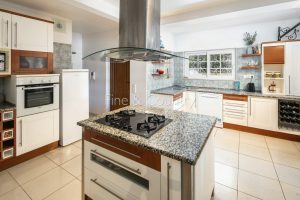 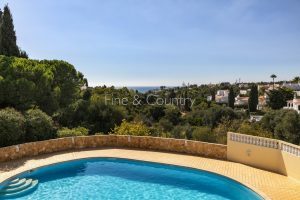 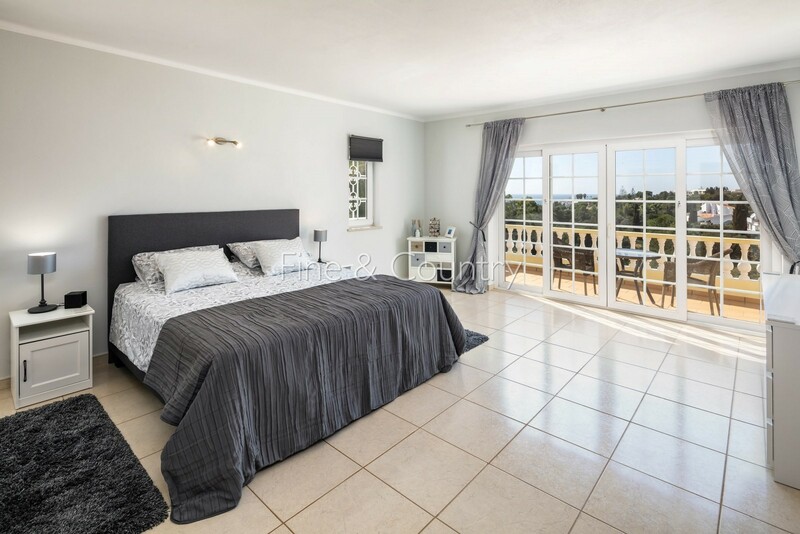 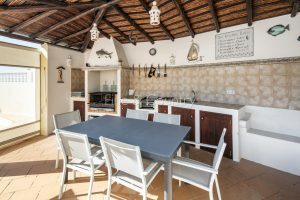 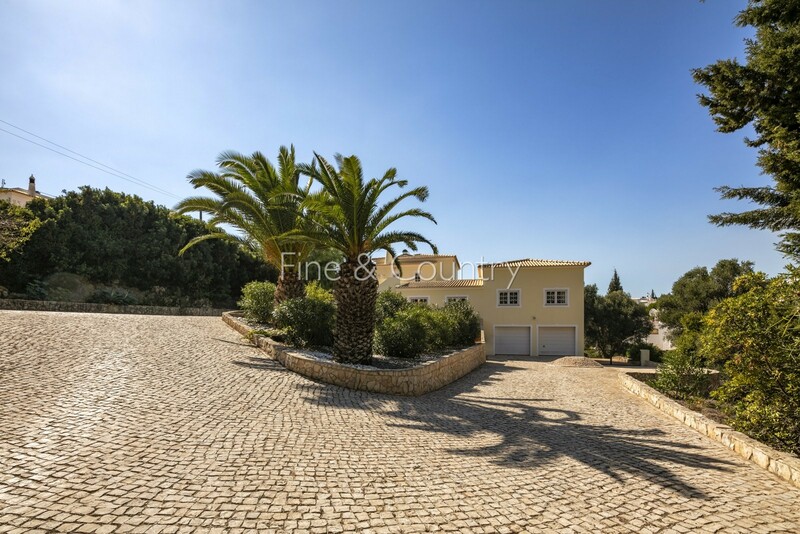 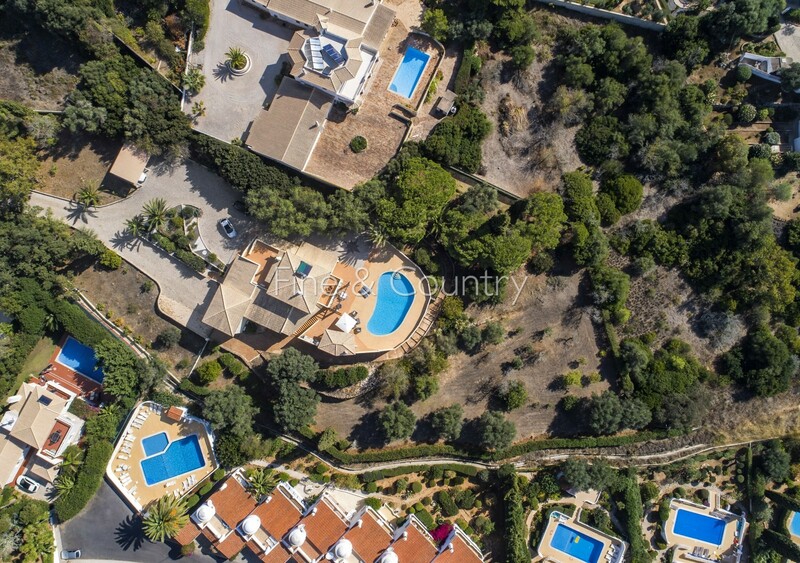 This detached 4-bedroom villa with pool and a built area of 400 m2 is set on a 5.240 m2 plot and boasts wonderful sea views from the ground floor. 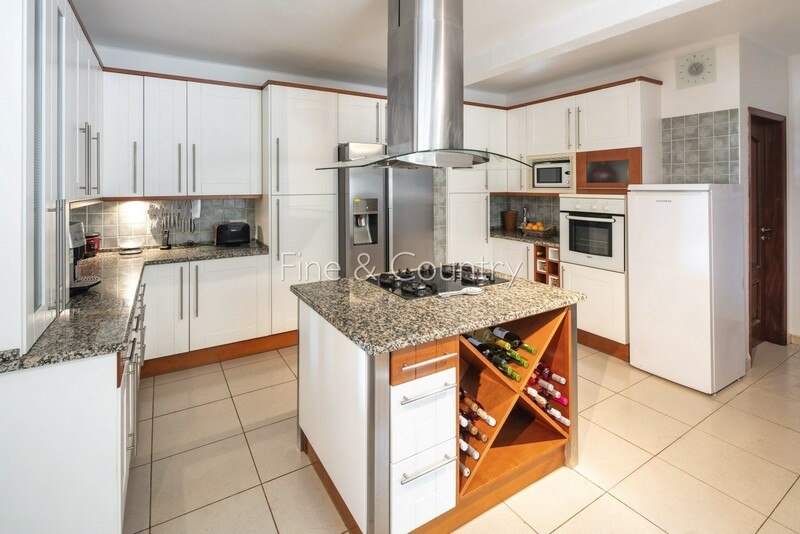 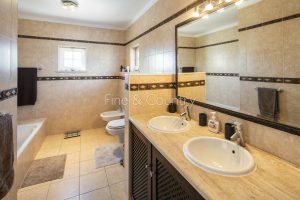 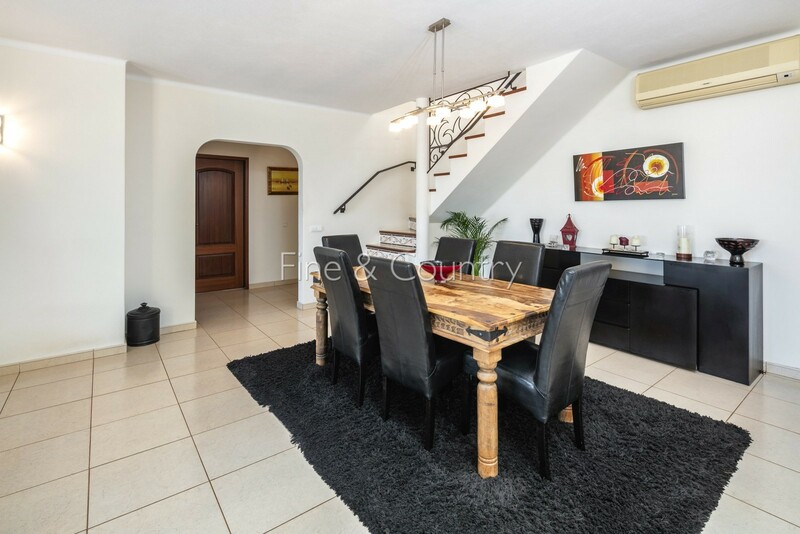 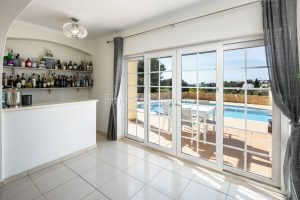 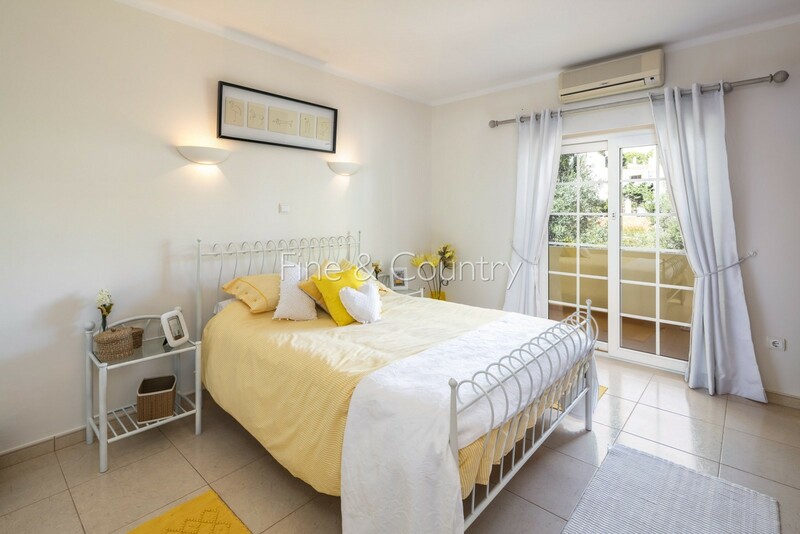 It´s centrally located in the quiet residential area of Vale do Côvo but yet very close to Carvoeiro with many bars and restaurants, the Vale de Milho golf course and the famous Vale Centeanes beach. 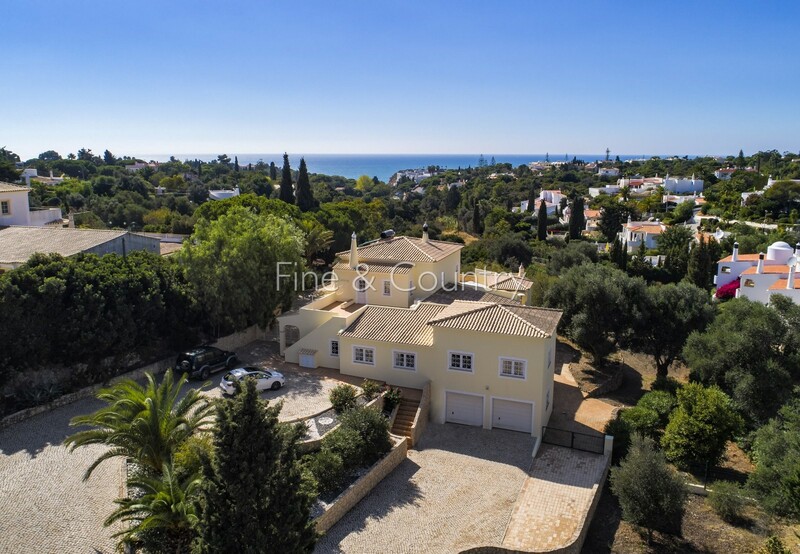 The International School in Porches is just a 10 minutes´ drive away; Faro airport can be reached within a 45 minute drive. The entrance door of the two-storey villa leads into the fully-fitted modern kitchen with adjacent storage and to the laundry room/ utility. The spacious lounge with dining area and log burning fire flows through 3 pairs of sliding doors directly out to covered and uncovered terraces and to the pool area offering wonderful sea views. 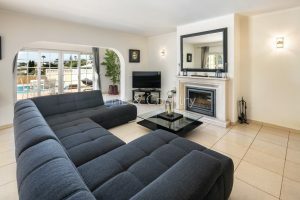 Off the lounge there is an office room. The bedroom wing on the ground floor comprises of two double bedrooms sharing one family bathroom, one en-suite bedroom and of a games room that could easily be converted into an additional en-suite bedroom. 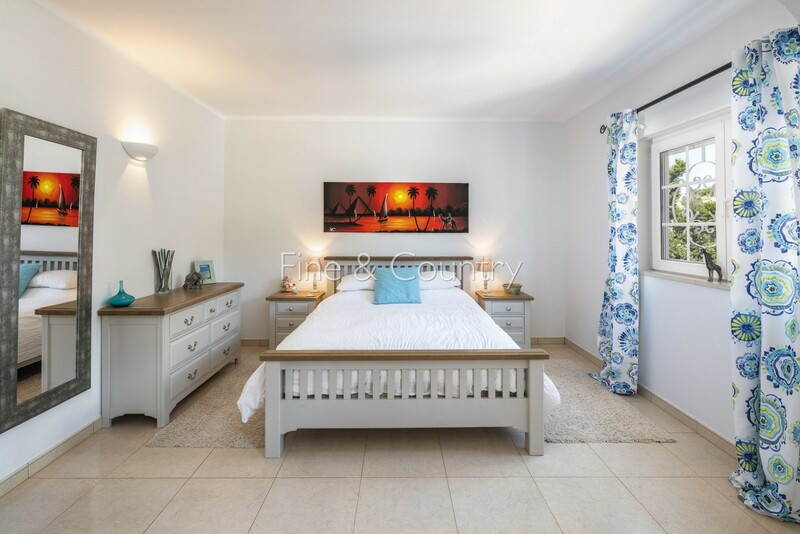 The first floor hosts the enourmous master bedroom with walk-in wardrobe and a bathroom with sauna. 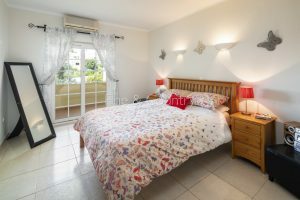 There is access to a private terrace with fantastic sea views and to a further terrace for the laundry. 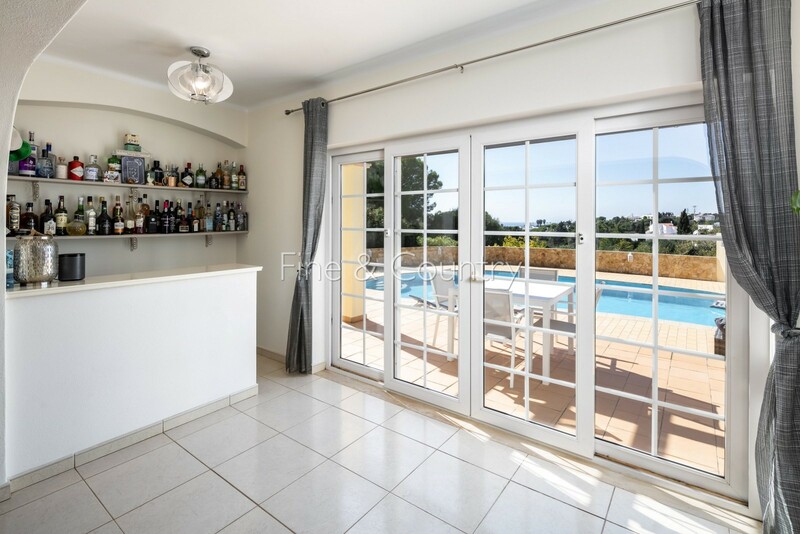 The pool area provides plenty of space for sun loungers and has an outdoor kitchen with a built-in BBQ, ideal for outside entertaining. The property has a double garage and a workshop. Furthermore, it´s possible to separate a 2.000 m2 building plot what turns the property into an attractive investment opportunity. 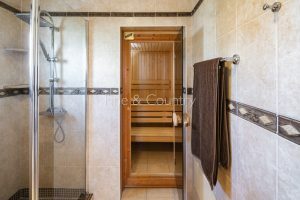 Further features: double-glazed white PVC-framed lattice windows + fly screens + security grids + partly electric shutters, log burner, solar panels for hot water + electric back-up, fully air conditioned, electric UHF in the bathrooms, gas hob, private chlorine pool (not heated/ plumbing for heater is there), fitted wardrobes in the bedrooms, ceramic floor tiles throughout, outside illumination, automatic irrigation, outside kitchen with built-in BBQ, sea views from the pool area, cobble-stoned driveway, ample outside parking, double carport, double garage (electric door), games room (could be converted into an additional en-suite bedroom), possibility to separate a 2.000 m2 building plot, outdoor workshop, sauna bathroom (first floor), satellite/ cable TV + WIFI, alarm system, mains water + septic tank (soak-away), fully walled, fenced, electric gate.